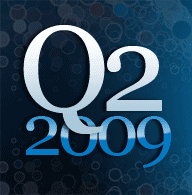 Telerik Watch: Q2 2009 released! Webinars Contest - Prizes given away everyday to live attendees. One Grand Prize winner at the end of the week wins Telerik Premium Collection and pass to PNP Summit 2009 ($1900 value). Attend more webinars live for more chances to win. Twitter Contest - Tweet with #telerikq209 between Monday and Friday for a chance at winning one of two Telerik Premium Collection licenses.